Dreaming of a very merry Christmas? 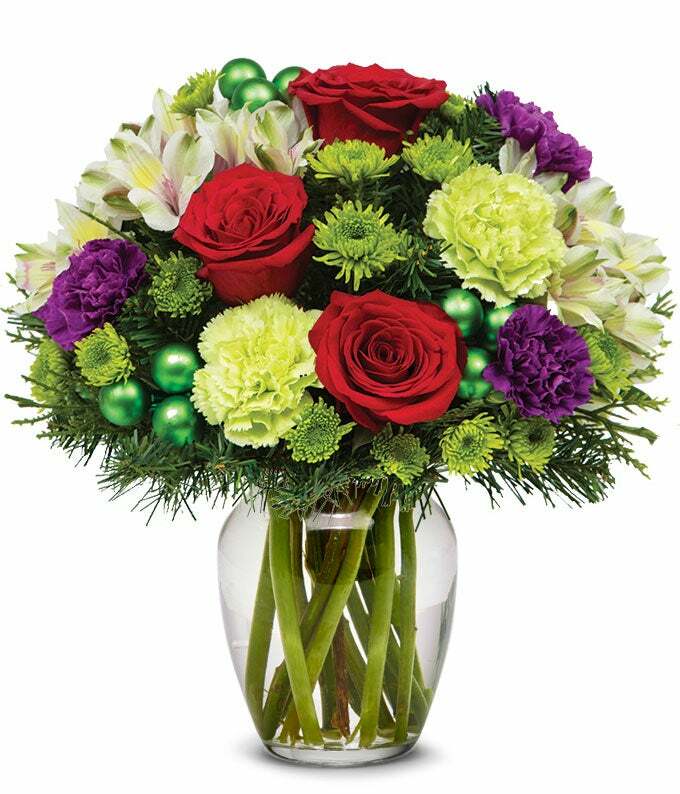 This bouquet arrives in a white Christmas vase and is sure to add that Holiday feel to any room. Arrangement Height 14", Length 14"